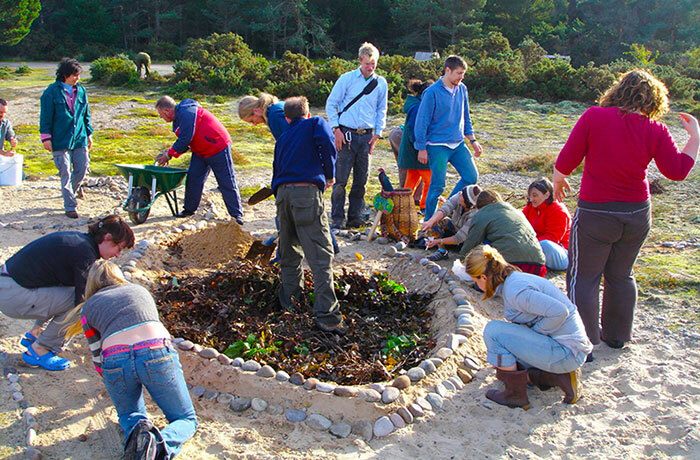 Findhorn Foundationa spiritual community, ecovillage and international workshop centre, helping to unfold a new human consciousness and create a positive and sustainable future. holistic education, academic and experiential learning. promotes a holistic approach to education for sustainable development by developing curricula for sustainable community design. While drawing upon best practices within ecovillages worldwide, Gaia Education works in partnership with universities, ecovillages, government and non-government agencies and the United Nations. The Global Ecovillage Network (GEN) is a grassroots non-profit organization that links together a highly diverse worldwide movement of autonomous ecovillages and related projects. Over the years GEN has developed many activities, as well as supported creation of sub-regional ecovillage network nodes. everything you want to know about Ecovillages worldwide.